You dream of traveling across the globe to check off a wish on your bucket list. Seeing the Great Wall of China or swimming in the beaches of Fiji excite you. You want to explore new history, culture and scenery. The only thing stopping you from buying an airplane ticket ASAP is the price. You need to find cheap places to travel so you don’t break the bank. Check out these 16 cheap places to travel to before you enter the real world. 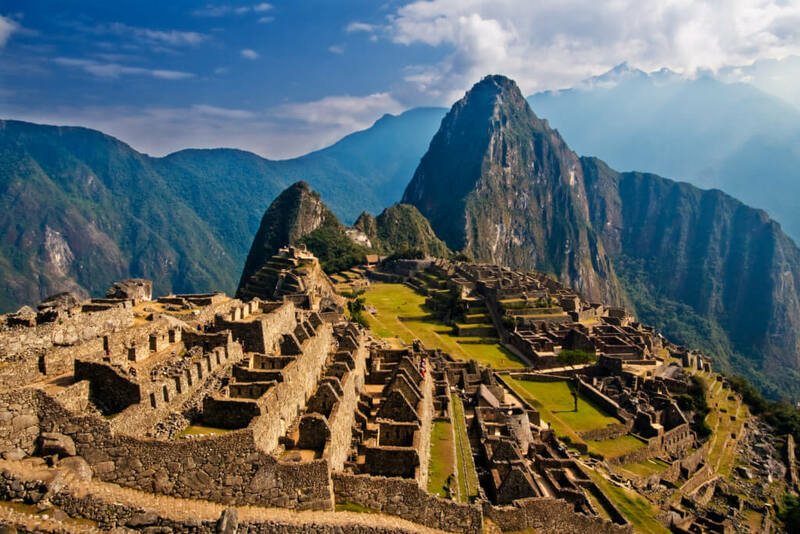 From Lima to Cusco, the rich life, native history and lush rainforests of Peru touch the entire country. And you can’t say you’ve been to Peru without seeing Machu Picchu. The adventurous can hike up the Inca citadel to see amazing ruins and the Temple of the Sun—but many buses also go up the mountain every 15 minutes if you feel lazy that day. “Students should travel [to Peru] because it’s a completely different way of life … the people I met and talked with were kind and just as interested in me as I was with them. There were things for everyone: giant markets on the weekend, fun places to hike or find and cool places to meet people and learn about the culture,” said John Hopkins University senior Elizabeth Winklehoff. She traveled to Peru for her archaeology degree and noted that her month’s stay ended up cheap AF. Have you ever been sightseeing in heaven? Cambodia comes pretty close. You’ll find thousands of temples and places to discover within jungles, forests, mountains and plains bordering the Gulf of Thailand. City-wise, the capital of Phnom Penh bustles with tons of cheap stores filled with anything from unique clothing to the perfect souvenir. “Cambodian food, clothing and souvenirs are extremely cheap … this will be beneficial to students, especially those concerned with finances and living expenses abroad. 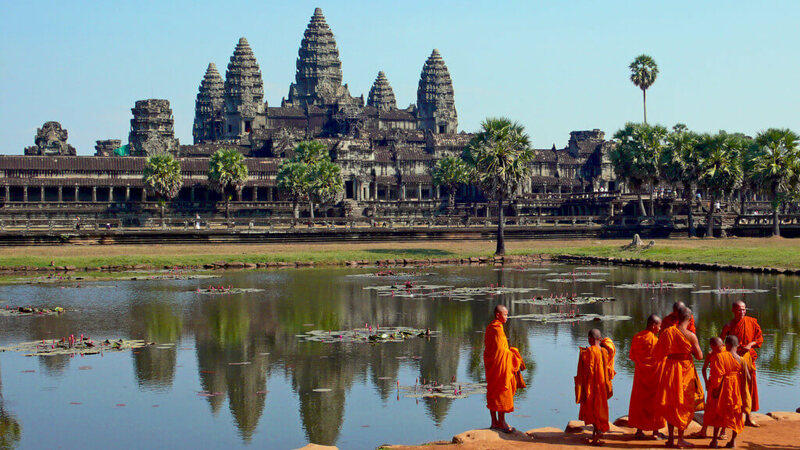 In Cambodia, you can really get a sense of its political and social climate. College students who want to learn about international affairs and foreign relations would benefit from a trip to Cambodia,” said Vassar College sophomore Kati Kim, who traveled to the country with her twin sister to teach Cambodian children English. Take a 15-minute walk to the Royal Palace, where the glittering gold of the complex is jaw-dropping. And you can’t say you’ve gone to Cambodia without stopping by to see the unique architecture of Angkor Wat, the largest religious monument in the world. 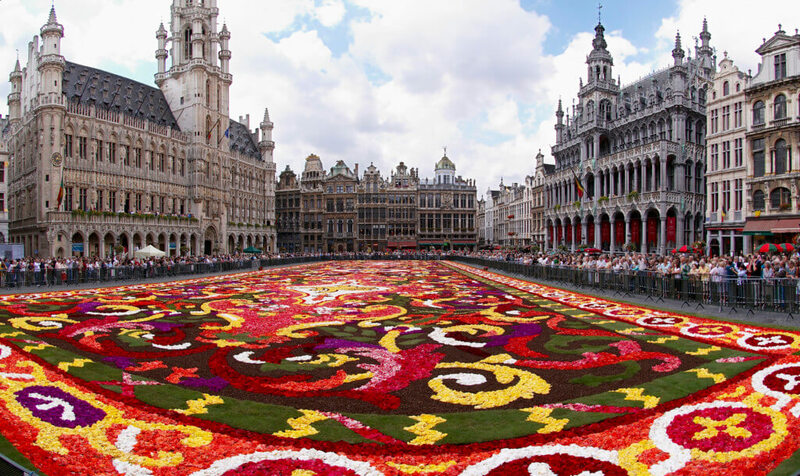 The capital of Brussels’ old architecture and tons of sightseeing spots, like the Central Station in Antwerp or Town Hall in Leuven, fulfills a tourist’s dream. When you’ve finished browsing for bargains at the Grand Place market square, you can see the iconic Atomium, a building made of nine gigantic spheres made for the 1958 World’s Fair. The Mini-European theme-park allows you to see small scale attractions of 80 European cities and 350 monuments, like the Eiffel Tower or the Acropolis in Athens. And if you have an interest in history, visit the Belfry of Bruges or the Royal Palace of Brussels. There, you can see the medieval fortresses and bell towers of old Belgium, along with jewels, royal clothing and panoramic views of the city. In the colorful world of India, you’ll find vibrant markets with new foods and spices next to stalls or rich fabrics and clothes. And you can easily get around Mumbai or New Delhi—hopping on a motorbike to travel all over the city will only cost you $5. 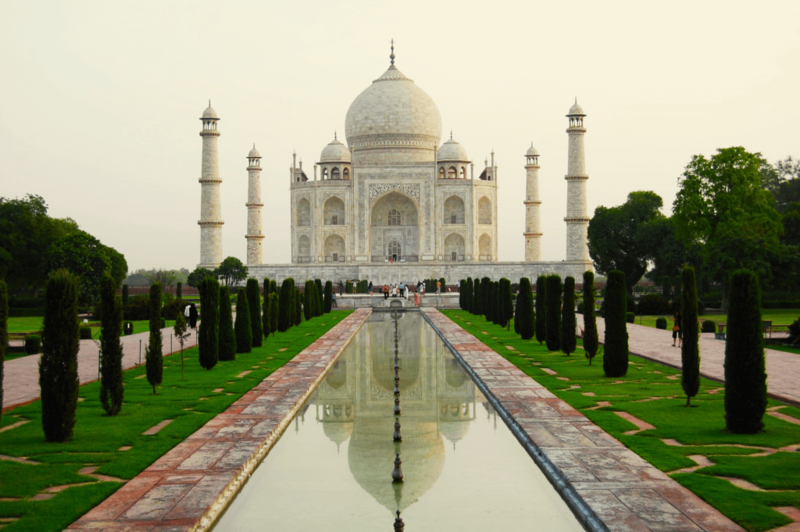 On your trip, make sure to stop by the Taj Mahal; don’t miss out on the chance to say you’ve seen one of the Seven Wonders of the (modern) World. Once you’ve filled your camera roll with the modern India, you can also visit some of India’s ancient architectural sites including the Red Fort or the Amer Fort, as well as the Golden Temple. Immersing yourself in the culture and history of one of the most populated countries can boost your understanding of different cultures and make you a great contender for future employers. If you love visiting the ruins of ancient civilizations, Honduras has a rich history filled with reminders of Maya civilization. 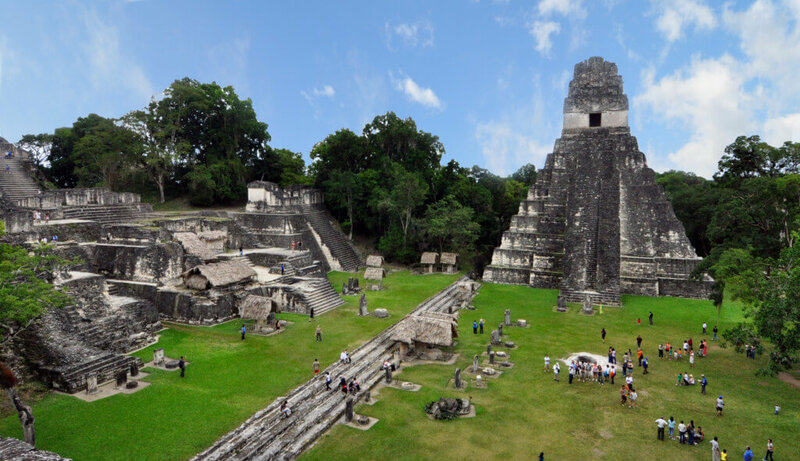 In the tropical rainforest on the border of Guatemala, you can visit the stone-carved hieroglyphs of Copán, before taking a ride to to the ancient site of Tikal, where the Temple of the Jaguar still stands. For adventure lovers, you’ll find amazing places to go snorkeling like West Bay Beach or Roatán, where you can see amazing fish swimming about in the Caribbean Sea. “I went ziplining in the Gracias Lempira this past summer. The zip line was around 5,000 feet up and it only cost me $20,” said Temple University junior Stephanie Cabrera, who had gone adventuring in the mountains of Celaque. And after all that trekking and exploring, you’ll probably be hungry. Grab some baleada, a tortilla full of refried beans, cheese and sour cream that will fill your stomach with total bliss. 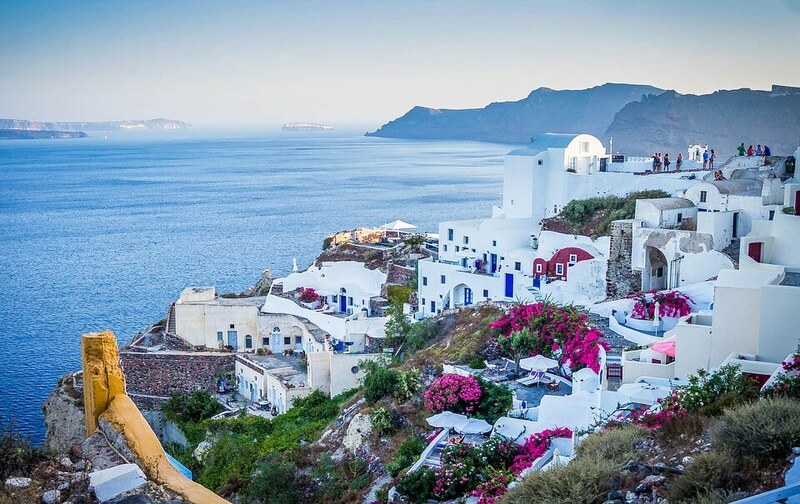 The Ionian, the Mediterranean and the Aegean surround Greece—giving the country all the famous beaches you’ve come to see on the internet and social media, like Navagio or Lalaria on Skiathos Island. The best places for photos? Definitely Santorini’s Sea Cliffs and the Blue Domes at Perissa. 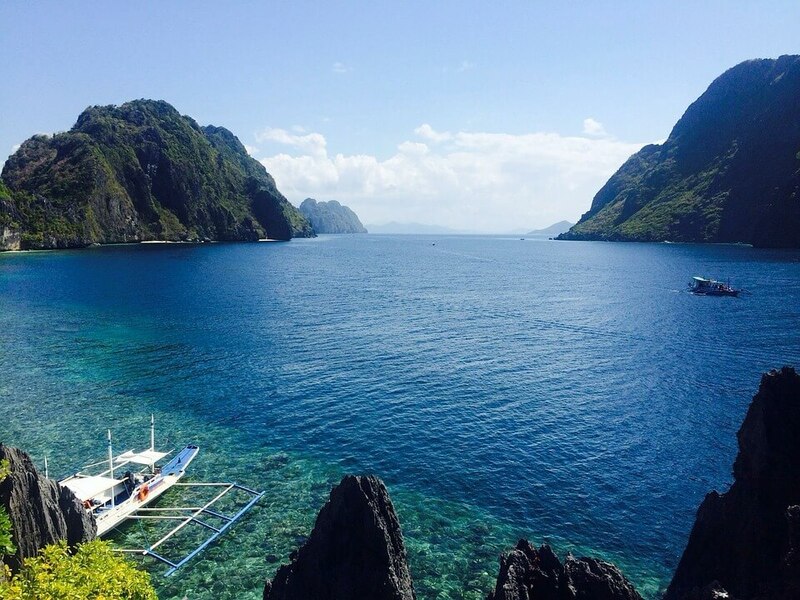 These destinations are super photogenic and will make your Instagram look bomb AF. You can take photos here anytime, especially at sunrise, sunset and twilight. After a full day of pictures, you’ll feel starved, so take advantage of the cheap restaurants nearby. Mos have outside seating so you can keep enjoying those views. Order a Greek delicacy like papoutsakia or saganaki, snap a few pics and dig in. With quaint but vibrant country houses, colorful cities and gothic architecture, like the famed red roofs of Riga, Latvia’s capital which will definitely make your feed 100 percent more hipster. 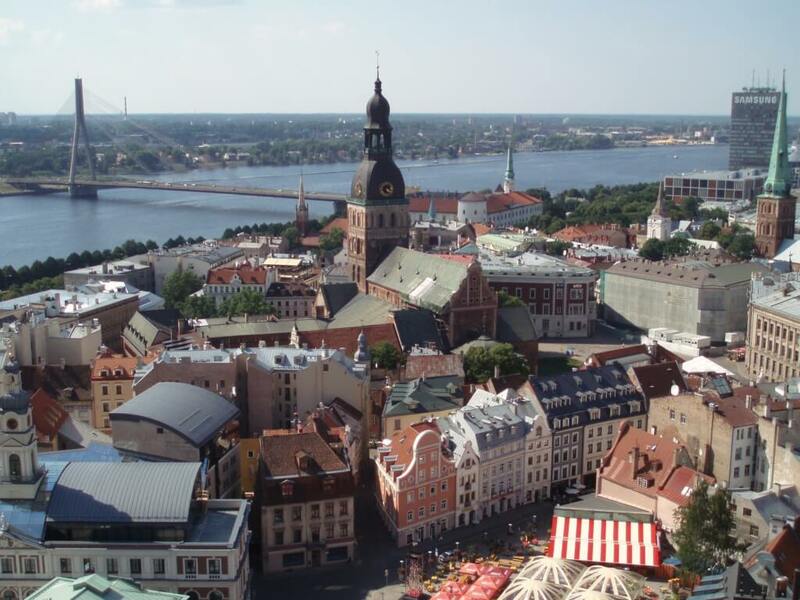 The skyline of this city takes your breath away as you cross the Vanšu Bridge over the Daugava River. As one of the countries once occupied by Soviet Russia, you can find remnants of its influences all around. In the empty buildings of Skrunda-1, a ghost town full of Soviet ruins, colorful propaganda murals make a sharp contrast to the spooky atmosphere of the town. After getting thoroughly creeped out, check out the ninth century Liepaja Northern Forts. Less than an hour away from Skrunda-1, Liepaja Northern Forts sits on the Latvian Coast of the Baltic Sea, where deteriorating bunkers are scattered across the water and lead to a main fort once used by Tsars of Russia. From its spectacularly blue oceans to the cobblestone walkways in its many towns, you can have a photoshoot anywhere. Rent a Vespa and go traveling across this island to explore the best spots to take photos, whether you pose next to ancient pillars from Roman ruins scattered across the region, in front of the Mediterranean or standing in a mysterious yet colorful alleyway. If you want more of a natural photo, go visit Mount Etna, Europe’s tallest active volcano, which towers over a town on the coast. The region’s staple foods all feature fresh caught seafood, especially spaghetti alle vongole or pesce spade alla ghiotta (swordfish)—and it will definitely make your Instagram pop. Both the Caribbean Sean and the Pacific border the thin country of Panama, making its beaches photogenic AF. At Camp Helen or St. Andrews State Park, your selfies will look anything but basic, whether vibrant pink sunsets reflect off the ocean in your beach selfies or you trek up Ancon Hill for a view of surrounding towns and the bordering oceans. 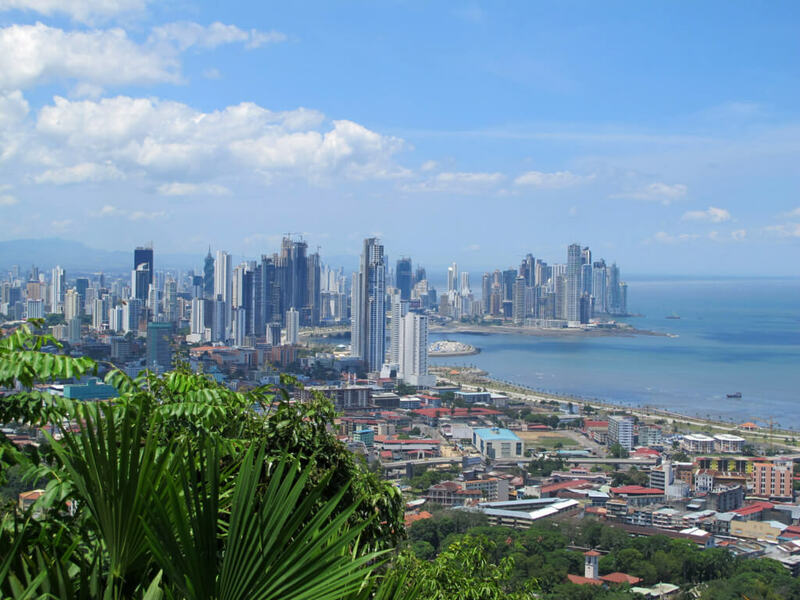 Besides the natural views, history lovers can visit the world heritage site of Panama Viejo to see its historic district, Casco Viejo, which has centuries old architecture and colorful vibes. Here you can see the Plaza de la Independencia, where the Metropolitan Cathedral sits between two stark white towers surrounded by gazebos, benches and cherry blossom trees. This country is full of eclectic photo locations that highlight the coolest parts of Eastern European culture. 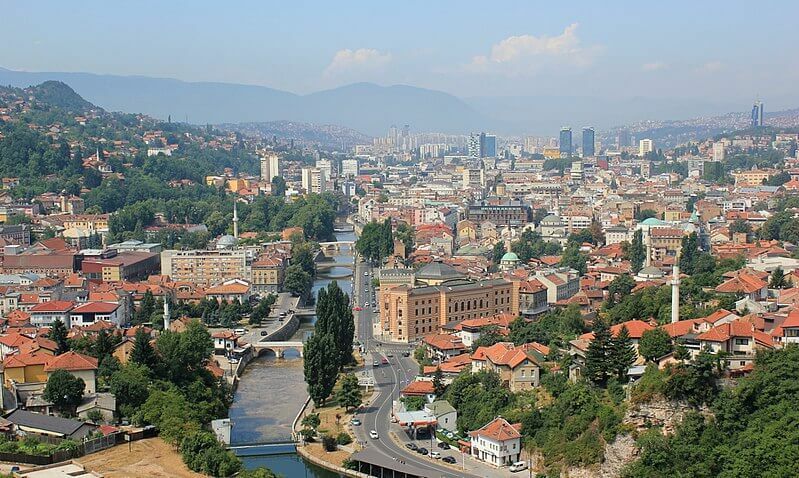 Even its capital, Sarajevo, makes for an amazing photo. With classic Balkan red roofs, a refreshing lack of skyscrapers and a mountain rage in the horizon, tops of gothic churches rise about the rest of the buildings to make an unbelievable skyline. You can get a great view of the city from the Bijela Tabija fortress, which sits on the highest point of the Vratnik neighborhood. After taking photos in front of the eccentric architecture, catch a bus ride to Sutjeska National Park. 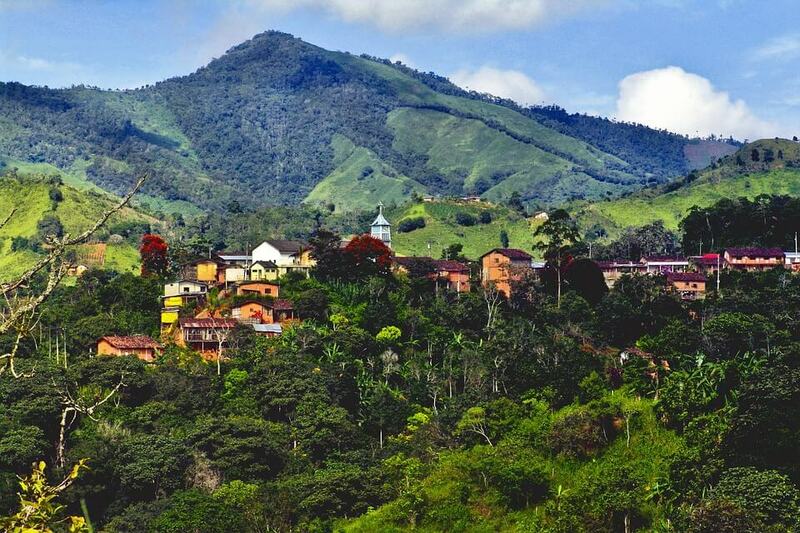 The high peaks give you an unbelievable view of the surrounding forests and villages. If you look far enough, you can see where the border of Montenegro begins. Make sure to catch it in your high-altitude selfie for a gorgeous background. You don’t always need to break out your passport to travel somewhere fun. Known for its spices and distinct flavors, the delicious gumbo, jambalaya and seafood choices will make your head spin in delight and mouth water before you even eat it. “Seafood is what New Orleans is known for,” said Tulane University sophomore Ian Joselow. 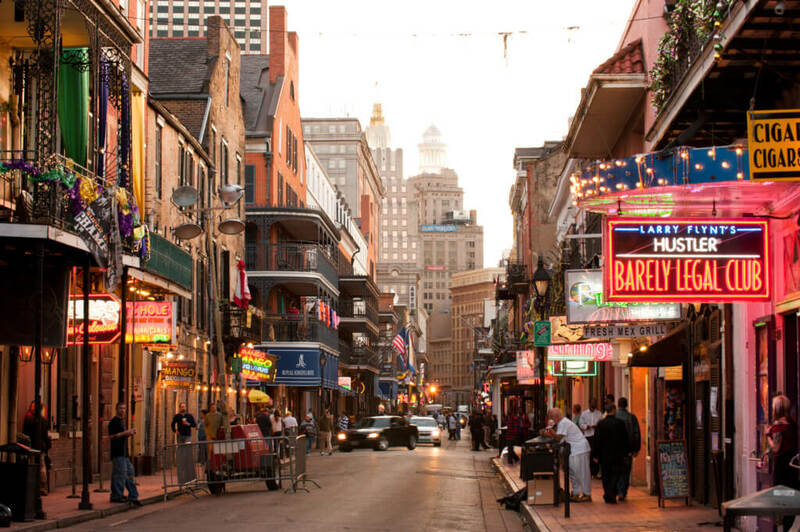 You’ll find tons of choices, from po’boys to étouffée to shrimp creole at your fingertips. Pro tip: The popular restaurants that you find on the internet have good food, but you can find better with a little digging. Go exploring to get the biggest bang for your buck. Corner shops owned by New Orleans natives will serve amazing food for a price that won’t break your bank. Don’t forget to pack some bigger pants for this trip, because you’ll definitely need them. Hungary is the land of sunflowers and paprika. With world famous cuisine, finding a Hungarian restaurant always makes the effort worth it. From goulash to strudel to sour cherry soup, it can be pretty tough to choose between sweet and savory on the menu. (The answer? Always choose both.) Like any travel destination, don’t go to the first restaurant you see. You can find a lot of hole-in-the-walls along the eccentric side streets of Budapest whose food will make you cry from sheer joy and save you quite a bit of pocket money in the process. 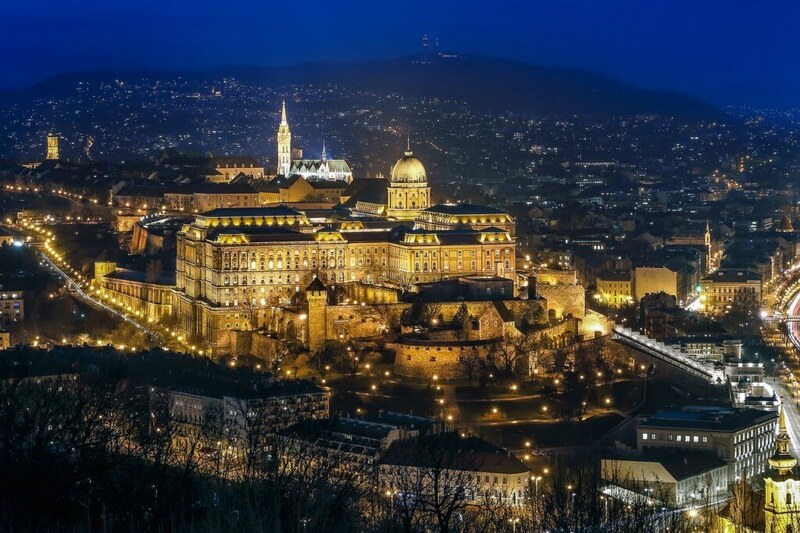 With that extra money, catch a ride to the Fisherman’s Bastion, a neo-Gothic terrace on the Castle hill of Budapest, and the Matthias Church, whose impeccably designed roof awes visitors with multicolored triangles and its golden pastel inside. And don’t forget to visit the country to see the hundreds of sunflower fields that fill the rural lands of Hungary. Filipino food combines of Spanish, Asian, Indian and American cuisine, reflecting the different cultures of its citizens and the history of the islands. Traditional Filipino food ranges from simple ingredients to a complex way of cooking. Most times, you’ll find dishes like roasted pig, Philippine sausage or adobo, which is chicken braised in garlic and other spices. But there are more eclectic items too, like pinakbet, eggplant, beans and squash in a tomato sauce and shrimp paste stew or kare-kare, oxtail and veggies cooked in peanut sauce. You’ll find something for everyone in your group at the kiosks and carts on the streets. While you’re walking around, make a quick pitstop at Fort Santiago. This citadel highlights the cherished history of Manila, the capital, and shows the memory of Spanish rule in the late 1500s. Wyoming doesn’t usually come to mind when you want to visit somewhere in the U.S. But it sets itself apart with beautiful nature and many enormous natural parks, like Yellowstone National Park, Grand Teton National Park and Shoshone National Forest. 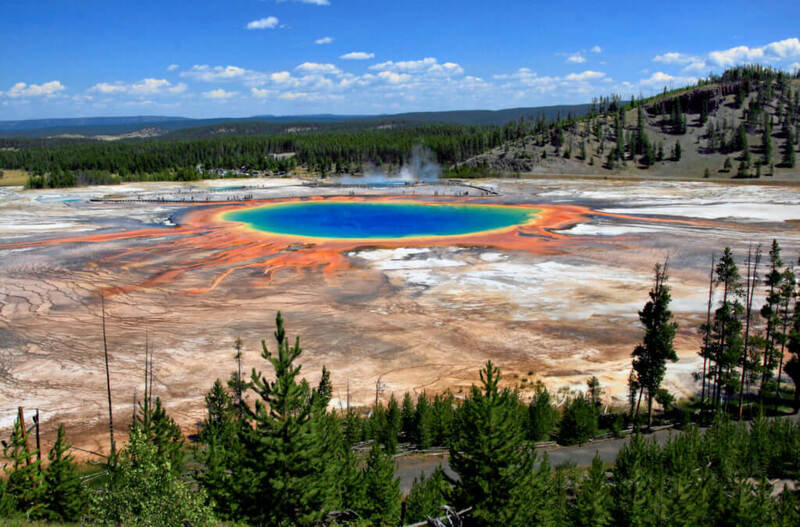 At Yellowstone, you can see the Yellowstone Caldera, a gurgling super volcano that scientists are hoping doesn’t erupt any time soon, along with geysers like Old Faithful. 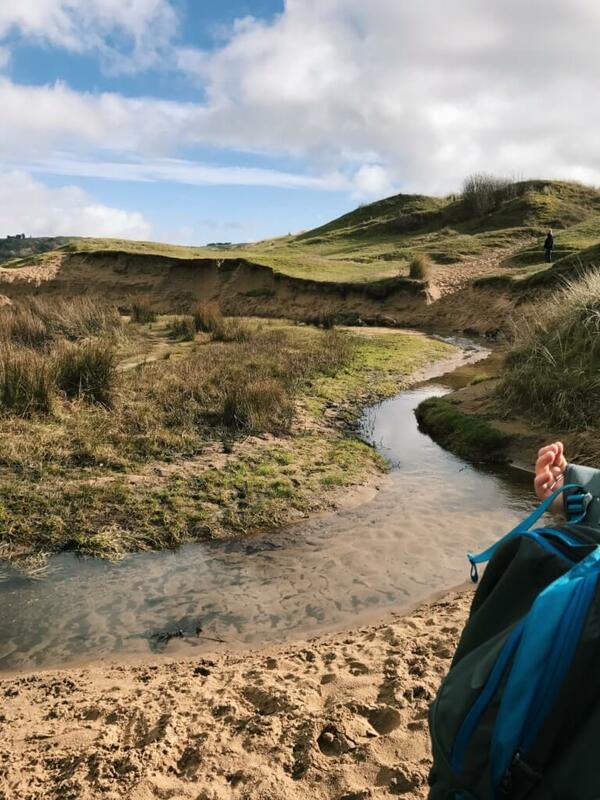 When Temple University junior Pearl Joslyn travelled through the state in an RV with her family, she gained a better appreciation of nature. “I felt most connected with nature when we saw wildlife, like bison and grizzly bears, up close, and when we visited the Tetons,” said Joslyn. Though getting there can end up a little pricey, trekking through the wilderness of national parks doesn’t cost anything. It only asks for your appreciation. Lots of students have visited Northern Africa, but what about the untouched jungles and grazing lands for hundreds of animals that you can’t find elsewhere? Tanzania encompasses a hub of diverse wildlife. Serengeti National Park houses thousands of birds, zebra and wildebeests you can see on safari rides. Within the park is a UNESCO World Heritage site, Ngorongoro Conservation area, where you can visit the Olduvai Gorge, one of the richest sites in the world for paleontology and fossil discovery. You’ll also get to see the Ol Doinyo Lengai (“mountain of God” in Maasai), the only volcano to produce a one-of-a-kind type of lava related to magma. “The natural beauty there is breathtaking. Nothing has been done to interfere with the nature, so the natural features were pure and unique,” said Temple University sophomore Amanda Morrison. Have you ever seen an ocelot? What about a river dolphin? Anteaters? Sloths? Ecuador’s diverse environment hosts thousands of types of species of fish, insects and animals unique to the the many regions that make up the country. On tours in the rainforest you can find waterfalls and plant life you’ve never seen before. When you exit the rainforest, take a hike in the Andes mountains along the spine of Ecuador, encountering free-running horses and the majestic Cotopaxi, an enormous, iconic volcano. And you won’t regret splurging for a flight to Galapagos. Most of the animals (including penguins!) are unique to these islands. “My favorite part of [Ecuador] was definitely the Galapagos. The wildlife, fauna and landscapes were something of another world – many of the animals cannot be seen anywhere but the Galapagos,” said ­­Monroe-Woodbury High School senior Matthew Guevera. Make sure you pack some water and snacks, though, since the island doesn’t take credit card. “In my ideal world, all students would take a year off to travel the world wherever their heart or curiosity takes them. In this day and age, we are all consumed by concerns about the present and the future. Students in particular worry, and rightly so, about grades, loans and job opportunities. Yet I also see them eager to learn, question their own beliefs and dream. Living in a foreign country, preferably one where people speak a different language, can offer students a precious space, away from daily pressures, to think about themselves and others, and thus grow personally and intellectually,” said Monica Ricketts, assistant professor of Temple University’s Department of History. “Traveling is such a vital part of growth, it’s like a hands-on education about life. Students should always consider traveling as part of their college experience. Whether you leave the country, or simply visit other states and cities within your own country, having that exposure to different walks of life, language and cultures is just something you can’t learn from a class or the internet. Having those experiences truly rounds you out as a person and allows you to form your own perspective on the world outside of the classroom – and your Instagram feed,” said Lissy Lamoreaux, creator of the travel blog A Wanderful Life. “Traveling anywhere, whether around the USA or abroad, while in college will expose the student to other views about life. This is as much of the learning experience as is going to a class several times a week. One’s college years are still ‘formative’ in terms of the maturation process and each and every new experience will aid in the formation of ideas and values that will likely stay with you for most of your life. On a more practical side, travelling while still in college is best as you have fewer responsibilities in terms of career and familial obligations. It is also true that college-age individuals may take more ‘chances’ than older adults. I’m not saying that they are more prone to facing dangers but that they are more willing to get out of any comfort zone that they may have develop as they get older,” said Ronald Webb, a Latin American Studies professor at Temple University. “I believe that studying abroad is one of the most important experiences you can have as an undergraduate. 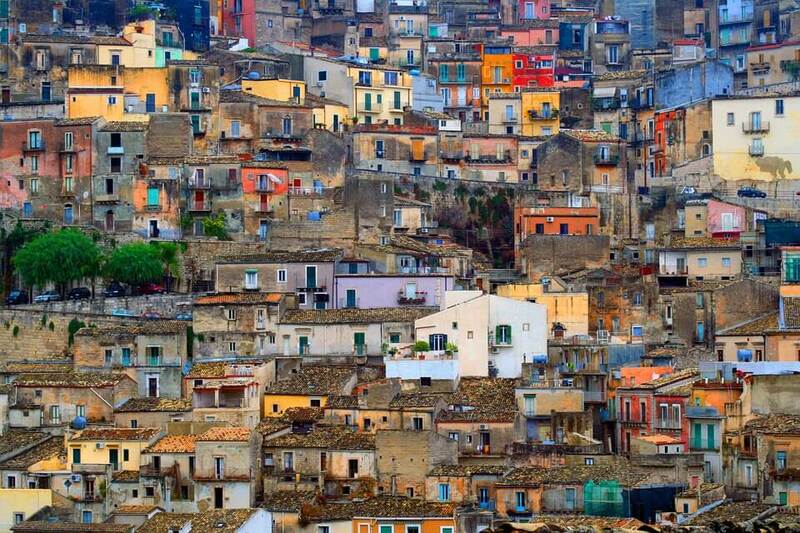 For me, studying abroad in Italy was a completely transformational experience. I learned what I was capable of doing on my own, and it taught me to reflect on my values and cultural perspectives as an American. It also set me on a path I could not have imagined previously … studying abroad, actually living in another country and culture for an extended period of time, is—for most—a once-in-a-lifetime experience that can help you grow in ways you can only imagine. It can help you discover your path, become more independent, change your perspective on your own culture, provide you with opportunities to gain hands-on experience in an international setting and so much more,” said Suzanne Willever, manager of outreach and communication at Temple University’s Education Abroad and Overseas Campuses. If your ideal vacation includes partying it up at foreign music festivals or stepping into views that make you wonder if you wandered onto the set of Avatar, head to Croatia. Twenty-somethings everywhere rejoice: Budget opportunities abound in this little piece of Adriatic paradise. For less than 50 euros you can take a full day boat cruise to the Kornati Islands and spend a day dolphin-spotting on board or taking a swim in a protected cove. For an off-the-beaten-path experience, take a break from the usual tourist beach towns of Split and Dubrovnik and travel inland to Plitvice Lakes National Park. Spend the day walking the park’s weaving boardwalks, which seem to melt right into the otherworldly waterfalls. Wherever you go, make sure to bring your camera to capture every moment. Prague juxtaposes old and new, fairytale castles and all-night party palaces. Don’t miss Prague Castle, whose medieval village has been around since 850 AD, meaning history in every spire. “Prague is super budget friendly,” said University of Michigan senior Abby Warsen. 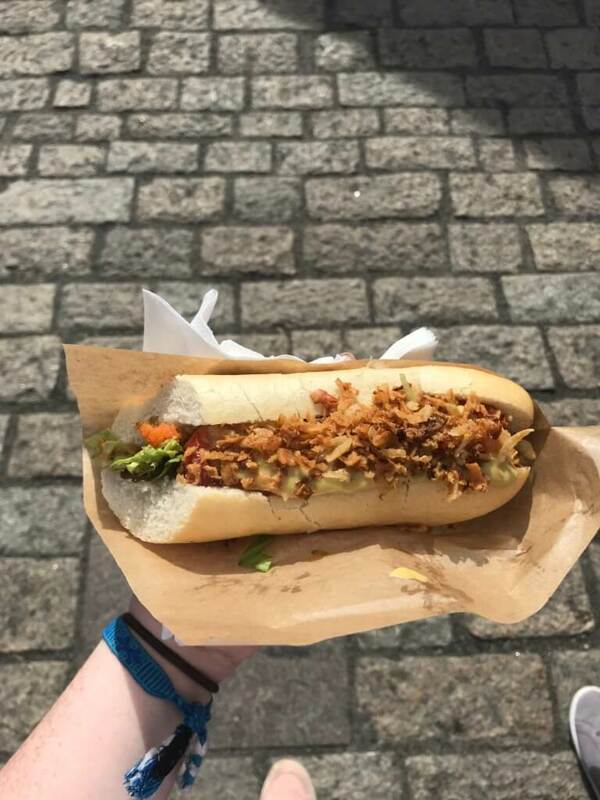 “There’s so much to see or do and the cheap street food is amazing.” Check out the castle’s food market, open every weekend. Give your wallet a break and load up on traditional bites and grab handmade souvenirs for your friends, all for less than a couple American dollars. Don’t miss the weiner sausages and langos, fried dough with garlic, pizza sauce and sour cream (think a Frankenstein funnel cake and pizza combo) for a truly authentic experience. If you want to experience the U.K. without the crowds, head to Wales. You’ll find more castles than any other country in the world and more sheep than people, making it the perfect place to find yourself abroad. Start at Cardiff, the country’s capital, where you’ll sample traditional Welsh Cakes at the Cardiff Market and then head to the stately Cardiff Castle to see some 14th century ruins that will put anything in the New World to shame. 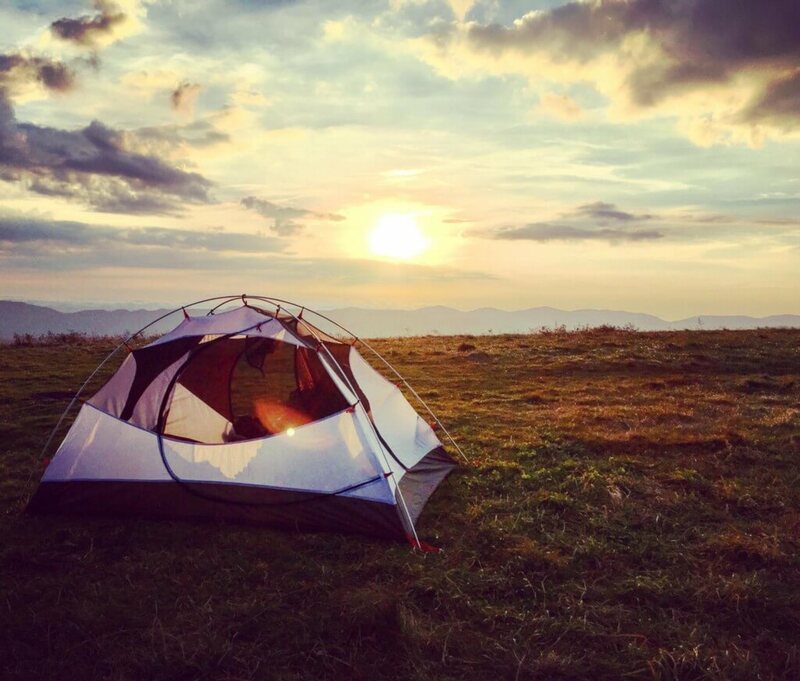 If you’d rather spend your time hiking, Brecon Beacons National Park or Snowdonia stick out and offer you endless trails and sprawling countryside views that will make you wonder why you hadn’t heard of the country sooner. However you choose to spend your days, make sure you find to time to hit up a historic free house, and enjoy a pint and a plate of traditional fish and chips before you hop back across the pond. While flights might get pricy and visas can require some time and planning, the rich history and natural beauty of X’ian make it well worth exploring. Check out the Mausoleum of the First Qin Emperor, home to the impressive Terracota Army. Grab your travel buddy and take in the capital’s diverse history by checking out the Great Mosque or stopping by the towering Big Goose Pagoda as you wander the city. 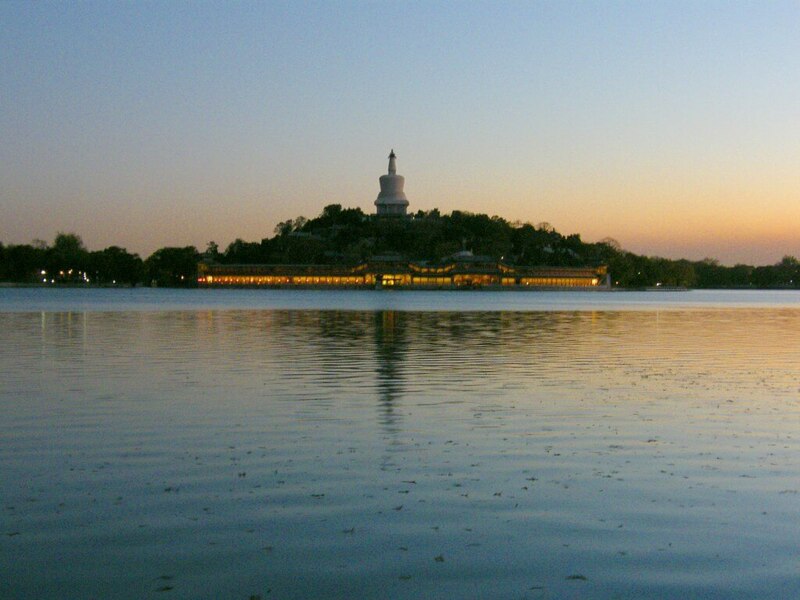 If your feet hurt after a long day of seeing the sights, relax in the zen Huaqing Hot Spring, where you’ll get stunning views of peaceful gardens and pagodas all for less than $10 for students. Then head back to your hostel, where you’ll meet travelers from all over the world and maybe even get some serious trip inspo for your next vacation. 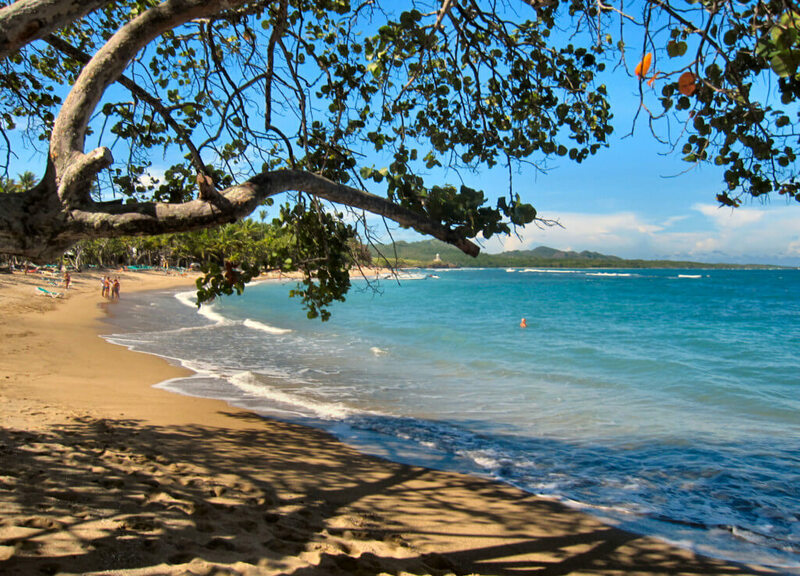 Cut the expensive spring break booze cruise and consider making the D.R. your next Caribbean destination. Once you take the obligatory beach pics, consider taking a whale watching tour or renting snorkel gear from local shops. Get to know the locals a little bit, and you’ll feel like a part of the island in no time. No matter how you choose to spend your days, make sure to sample some local cuisine and take a break from the heat under the shaded palms. Pick up some plantains from a local stand, or grab tostones at the many family-run restaurants that dot the country side. If you’d like to give back while you experience the local culture, the D.R. also makes the perfect volunteering vacation, so you can give back while you go away. If you love quaint old city charm, check out Krakow. The city’s impressive castles, historic sites and churches, like the towering St. Mary’s Basilica, speak to anyone with a case of wanderlust. To save a few dollars, get to know the real Krakow by exploring via foot where you’ll get to know fellow tourists and find the most authentic hangouts thanks to your quirky local guide. If you can’t seem to get enough of all the attractions (the abandoned Rynek Underground, anyone? ), consider talking your friends into getting a Krakow Tourist Card. It gets you free unlimited public transportation (a.k.a. no more expensive taxis) and discounts on tons of major attractions. Once you get a sense of the city, settle down for a cheap beer (booze prices won’t set you back more than 75 cents) or enjoy pierogis at one of the area’s many Soviet-era milk bars, the perfect option for a cheap, authentic lunch. If your perfect hike includes seeing bashful monkeys and getting back some much-needed electrolytes with fresh picked coconuts right off the trail, consider Puerto Rico. After all, you won’t even need your passport. To keep #ballinonabudget, trade in the hefty price tags of bigger cities like San Juan and head to off the beaten path locations like Aguadilla, which still offer tons of ways to get out into the sea and under the sun. You’ll get an authentic experience without trading in your precious cash for overpriced margaritas and accommodations. Worried about not having enough to do? “Get out into the scenery,” said University of Florida junior Alexis Gornik. 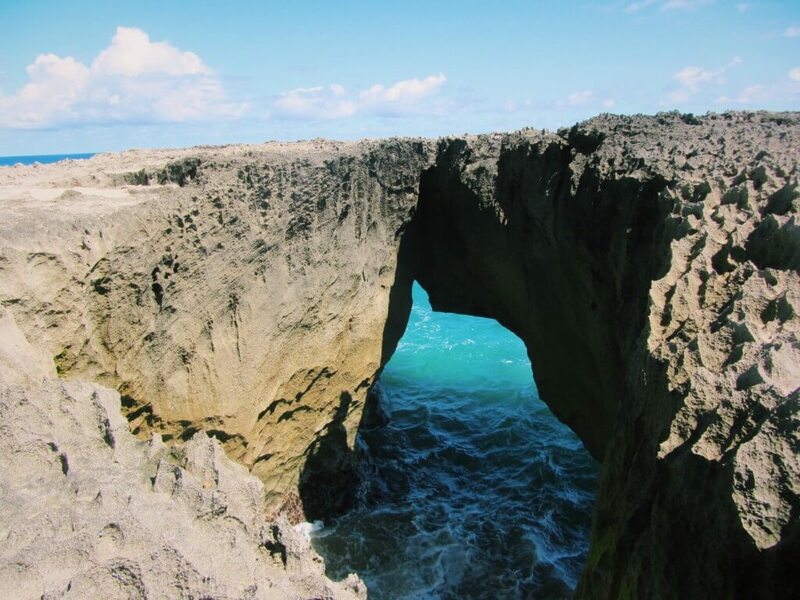 “Pinterest your way through the city and find spots that look cool to hike and sightsee.” With its beautiful sandy beaches and shaded cliffs and coves, Puerto Rico has plenty for the young tourist to explore without going over budget. A selfie with your camel on a desert safari will blow everyone else’s Throwback Thursday away. 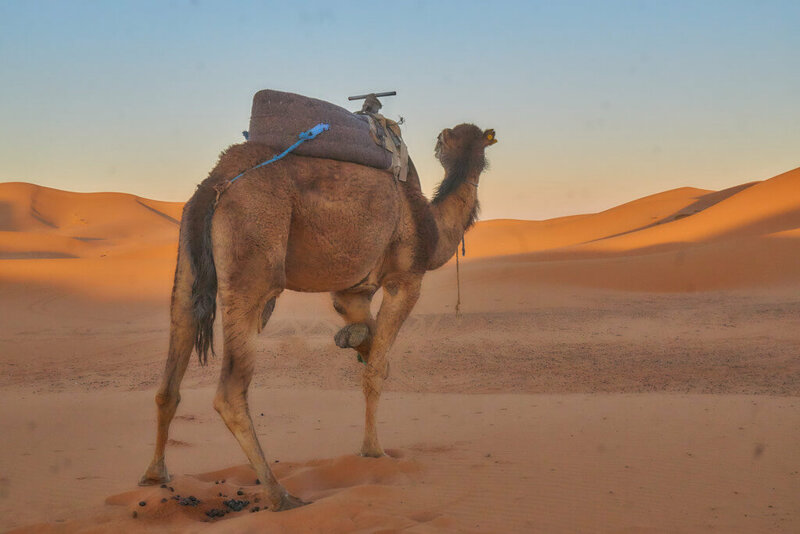 Morocco offers a different approach to the Middle East with dizzying diversity and rich history thanks to its mix of Arabic and African cultures. Explore ancient cities or spend a day riding through the desert and tucking into rich dishes like Tangine or Harira. Either way, your camera roll will fill up fast. In Marrakesh, find your next Instagrammable background by walking down an empty red ochre side street or stumbling upon one of the many markets that line the busy streets. For a pic that will make you feel like royalty, head to the stately Palais Bahia, an 18th century palace with courtyard after courtyard of stunning mosaics. Eastern Europe and budget traveling go together like pancakes and syrup. The quaint medieval towns and magical countryside make it an awesome starting point for your European backpacking trip. 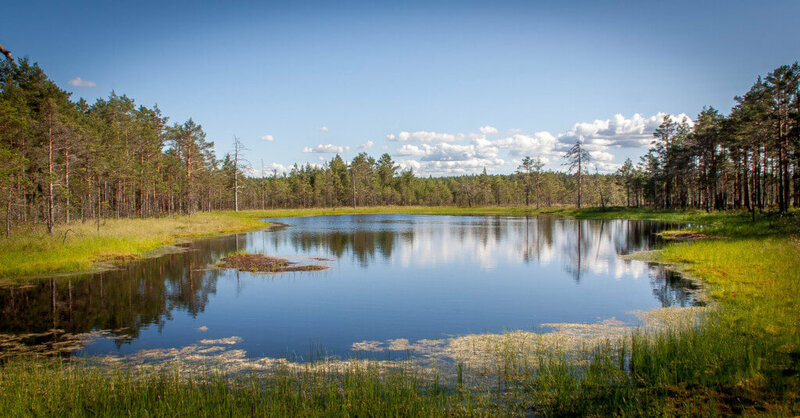 Get out and explore the views by heading to Soomaa National Park, a peat bog left behind by glacial activity more than 10,000 years ago. Hike through lush green meadows and towering mountains that you won’t be able to see anywhere else. Rent a canoe to really get a feel for the landscape and paddle down one of the park’s several winding rivers and search for deer, elk and golden eagles from your watery perch. Book your tickets for the spring when the wildflowers transform the countryside with beautiful pastels. Going over the border doesn’t have to mean going over budget. 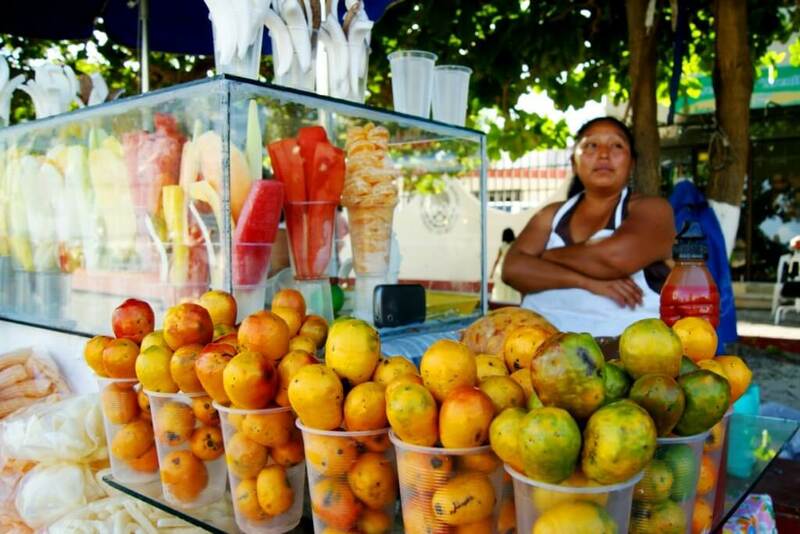 Central America has tons of culture to soak up, and also tons of authentic cuisine that could beat Chiptole or Taco Bell any day. Consider going to Oaxaca and trying out a traditional mole or grabbing tamales in Mexico City. If that all seems a little tame, try out some fried gusano rojo, a crunchy and delicious little bug that has taken the local food scene by storm. Don’t miss out on the quaint little town of Tequilla either, where you can try out samples at local distilleries and take a short day trip to the blue agave fields right out of town, where you can see blue agave harvested the right way. After all, experiences like these turn into memories you won’t soon forget. Overnight: Consider renting a cabin or Air BNB to split with friends, prices will range from $20 to $40 when split. Asheville has quickly emerged as the hippest place in the south. Pack up your Burks and Blundstones and drive on towards the misty mountains of the Blue Ridge Parkway. Spend a day hiking and wildlife watching on the easy but stunning Bald Knob Ridge or brave the climb on Craggy Pinnacle trail for valley views that you’ll talk about long after you unpack your suitcase. Then head towards the city, making sure to grab some fresh seasonal fruits at roadside stands like Flying Cloud Farm to refuel. Once you get into town, it’s time to settle down under the twinkling fairy lights of Asheville’s many local breweries and let the mix of old-school bluegrass and newer indie acoustics provide you with the perfect nightcap before you spend the night under the stars. If you want to stay stateside, get your fill of southern cookin’ in the Peach State. And don’t worry, you’ll find more than peach pies and finger lickin’ good fried chicken on the table. 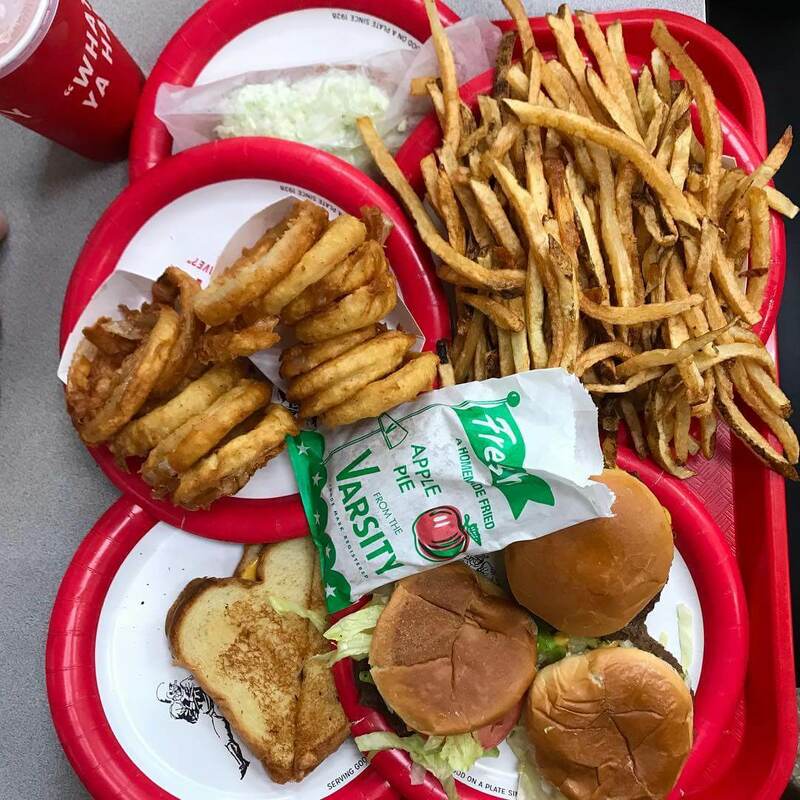 Check out the Varsity, famous for calls of, “What’ll ya Have!”, and holding its own for over 90 years across from Georgia Tech’s football stadium. While burgers and fries cost a little more than they did when the joint first opened, prices stay low and you’ll be sure to leave happy. If you’d rather try something a little more avante garde, head to a festival at Piedmont Park (there’s always something going on during the summer months) and try out wacky combinations of southern favorites, like a pulled pork and mac-n-cheese donut sandwich from a food truck. End your day by hitting up idyllic Sweetwater Brewery and spend a few hours floating down the Chattahoochee River, friends and six pack in tow for the perfect Southern day, cherry-on-top. 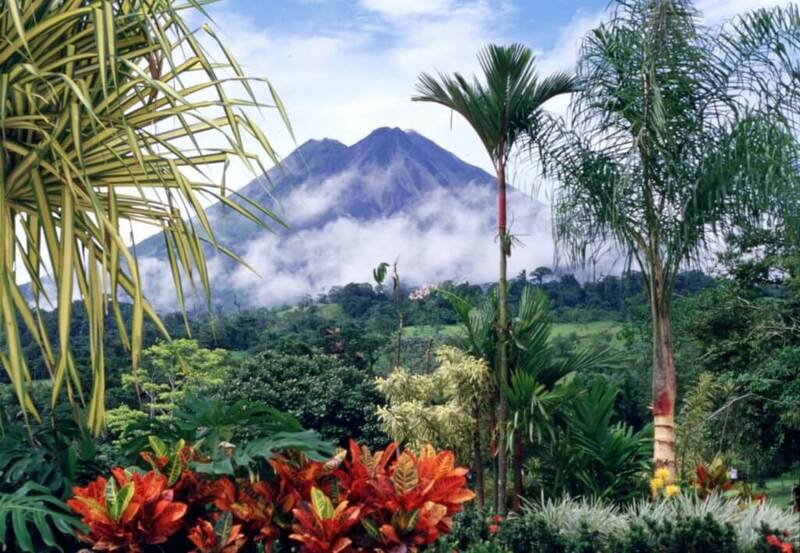 Cheap prices and tons of nature to explore make it easy to live #puravida in Costa Rica. While all the posts filling up your feed might have you thinking “tourist trap,” traveling smart makes sticking to a budget easy. Plus, with over 20 national parks in the country (most with fees under $10), the nature addict will find tons of trails and activities to make the perfect escape. 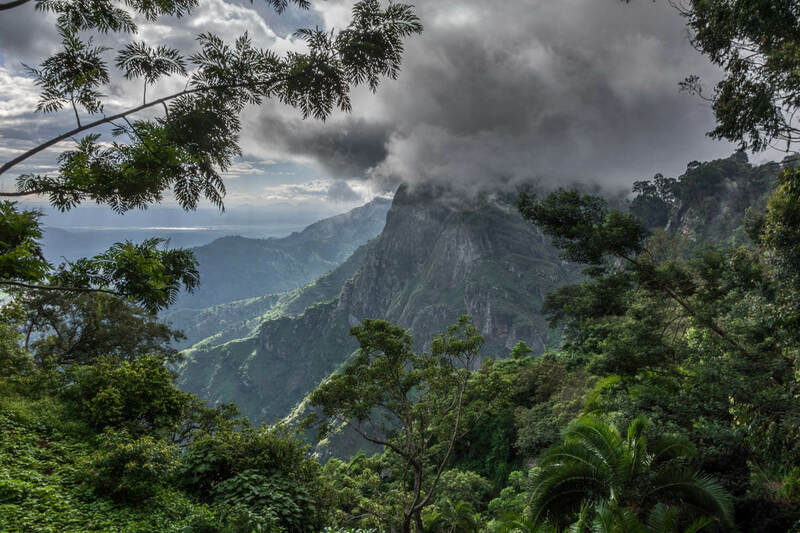 Pack up your hiking boots and explore dense jungles and catch a glimpse of elusive jaguars or slow-moving sloths. Or if you’d rather spend your day on the coast, find a beach and learn how to surf from friendly locals. Want to find somewhere secluded and away from the crowds? Public access beaches abound, and all it takes is pulling off to the side of the road to find your little piece of paradise. Slovenia will give any nature guru plenty to do with its miles of towering mountains range and views of picturesque glacial lakes that will stay with you for the rest of your life. 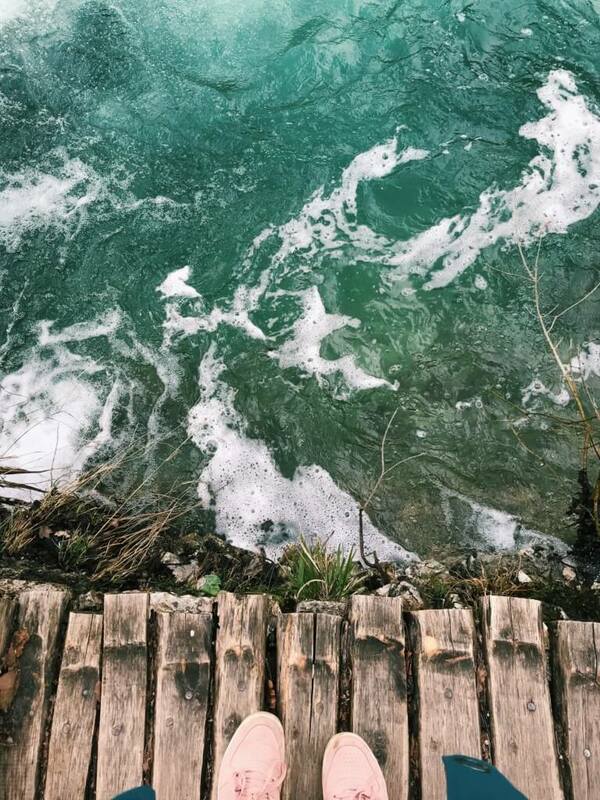 Grab your hiking boots and hit the trails at hot spring fed Lake Bled in the northwestern province. Check out Mala Osojnica, a steep but worth it trek that will offer stunning views of the emerald green lake and the medieval castle that rests on the lake’s islet. If that doesn’t make you want to book your flight immediately, the area offers mountaineering, mountain biking and even paragliding, meaning you can really let your inner adrenaline junkie out and try something new. Plus, you don’t even have to pay for a hostel. The beaches surrounding the lake allow camping and the crystal clear water is warm and suitable for swimming all summer long. This means plenty of ops to meet like-minded twenty somethings and swap stories and experiences under the stars. *Flight rates from Google Flights. Francesca is a junior at Temple University studying journalism and history. When she isn’t on the hunt for new adventures, you can find her jamming out to alternative music and quoting Lord of the Rings way too much.